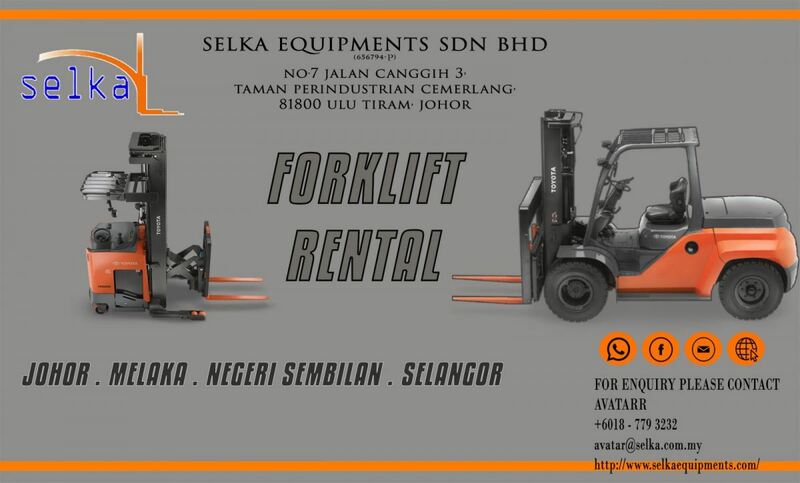 Selka Equipments Sdn Bhd - Selka Equipments Sdn Bhd is a forklift rental company in Johor Bahru (JB). 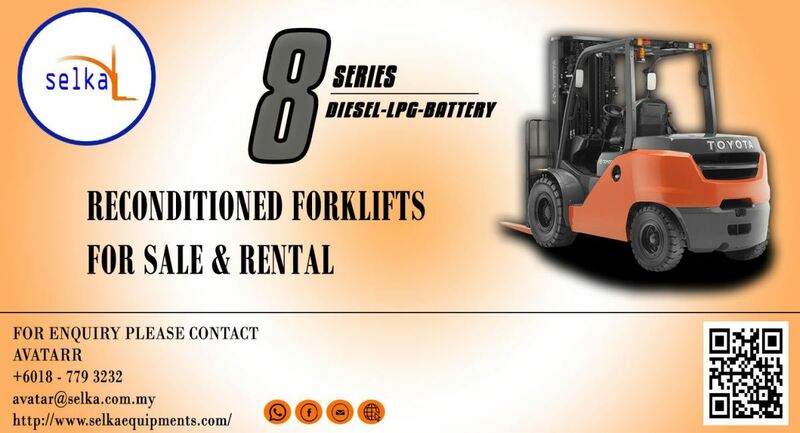 We provide forklift supply, high mast stacker rental and reach truck rental service. 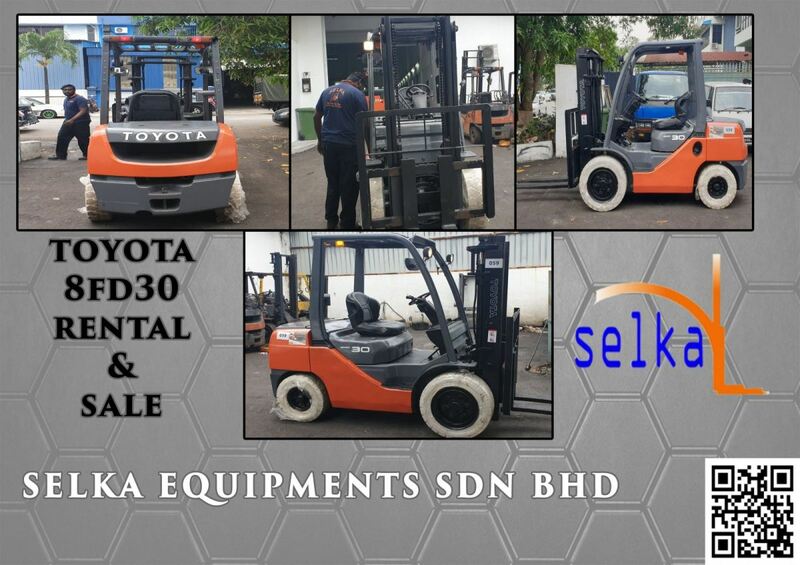 SELKA Equipments Sdn Bhd is one of the premier new and re-conditioned lift truck service providers in Johor. 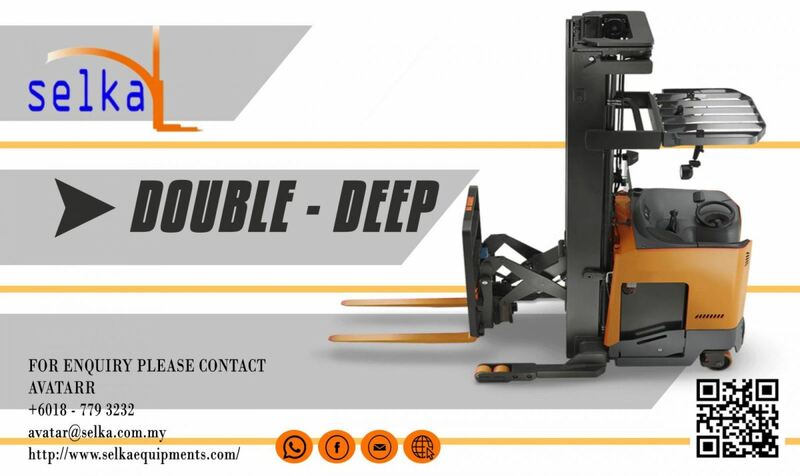 With excess of 50 units during the first 2 years of operation, it was a logical choice for its co-founders to expand themselves in the market. 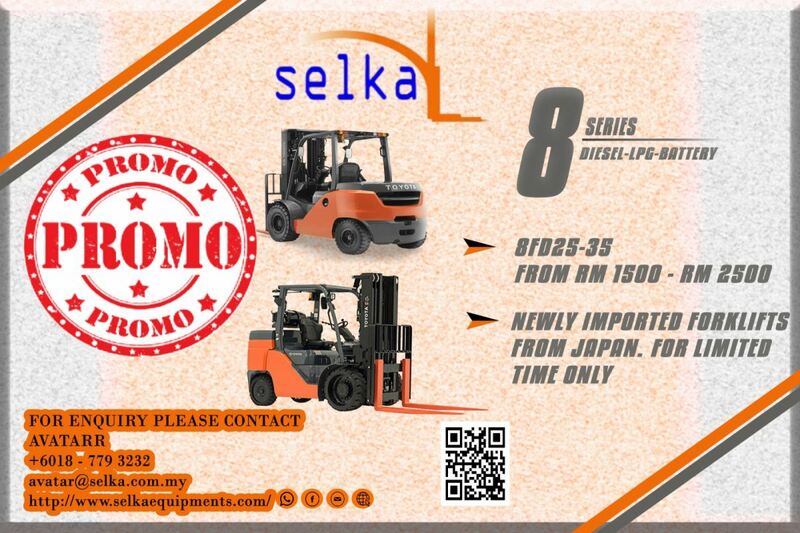 Selka Equipments Sdn Bhd was incorporated in 1996 to cater to the lucrative rental industry. 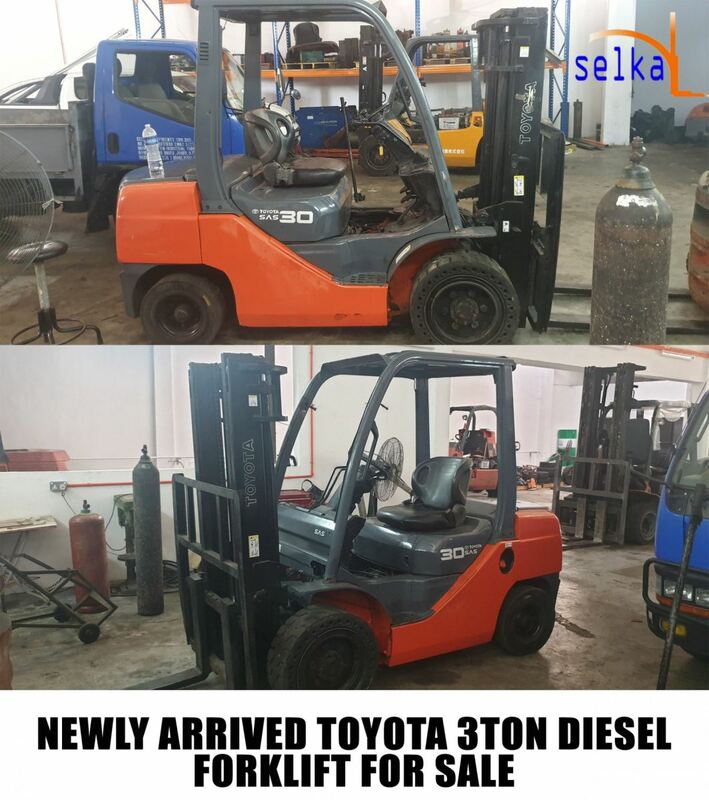 The founder, Mr.Muthu previously worked for Sembawang Engineering (Singapore) nearly 15 years in the logistic department as Senior Mechanical Engineer. 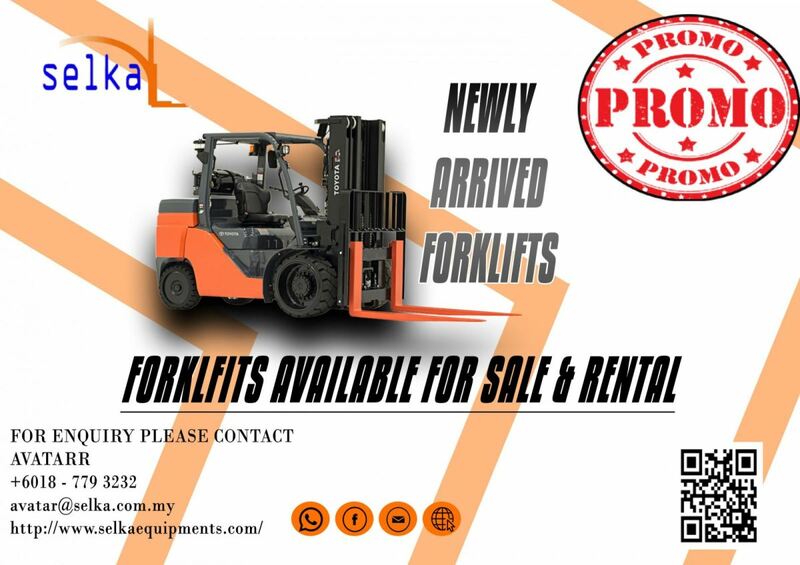 During his employment in Sembawang, he was also in-charge of material handling equipment and specialized in forklifts. 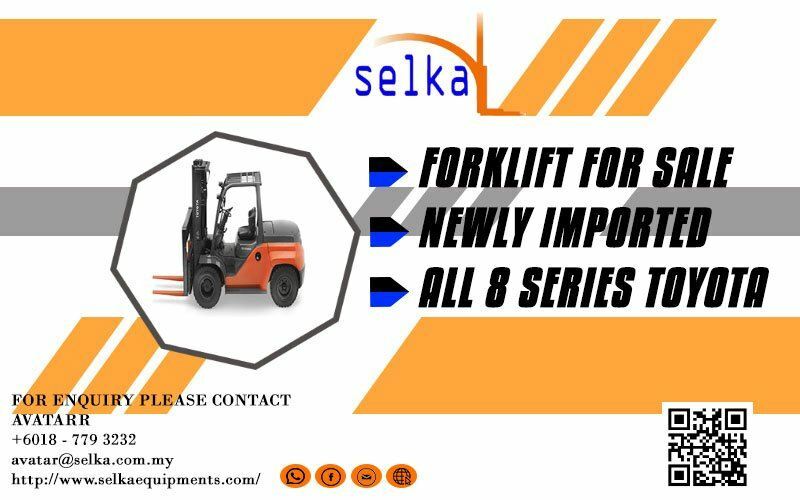 The fascination with material handling equipment and its importance has encouraged our founder to start up Selka Equipments Sdn Bhd. Product knowledge and service expertise has enabled us to remain a vital force in the market. 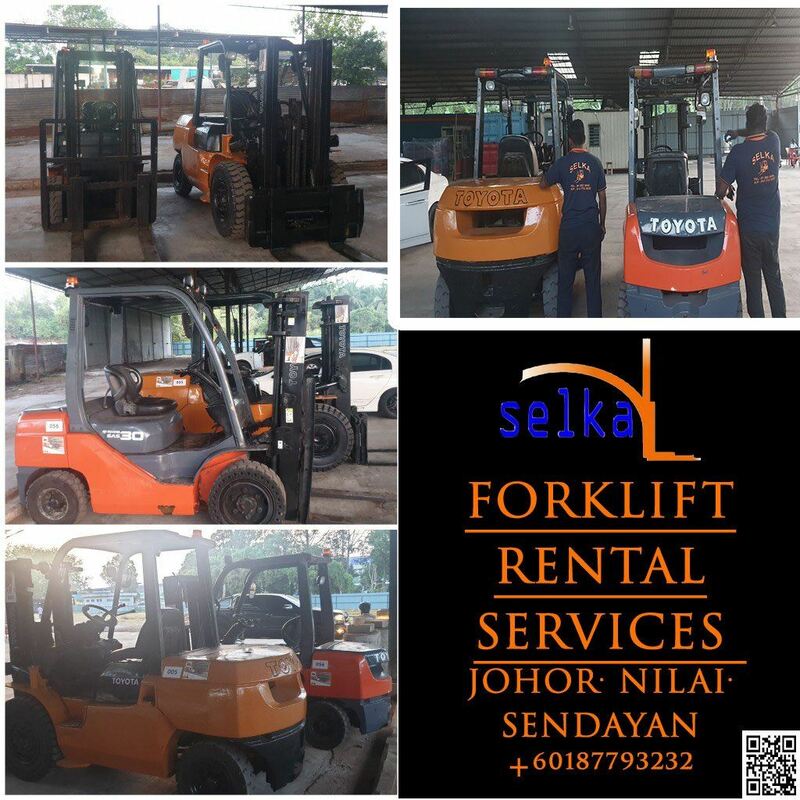 Selka has benefited from diversity and its strong rental presence to enjoy a steady growth. 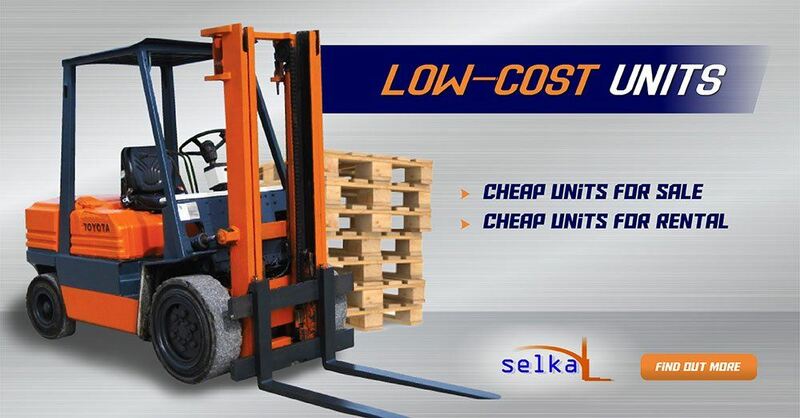 Selka has everything a customer could want. 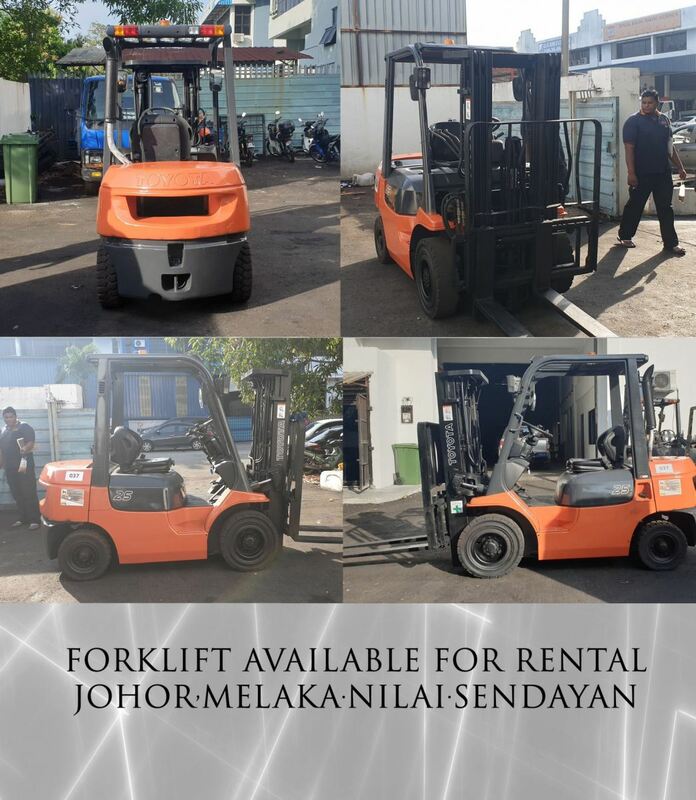 Head quartered at Johor and branch in Seremban, Negeri Sembilan had enable us to provide quick forklift rental services for customer in Nilai, Negeri Sembilan and Johor. 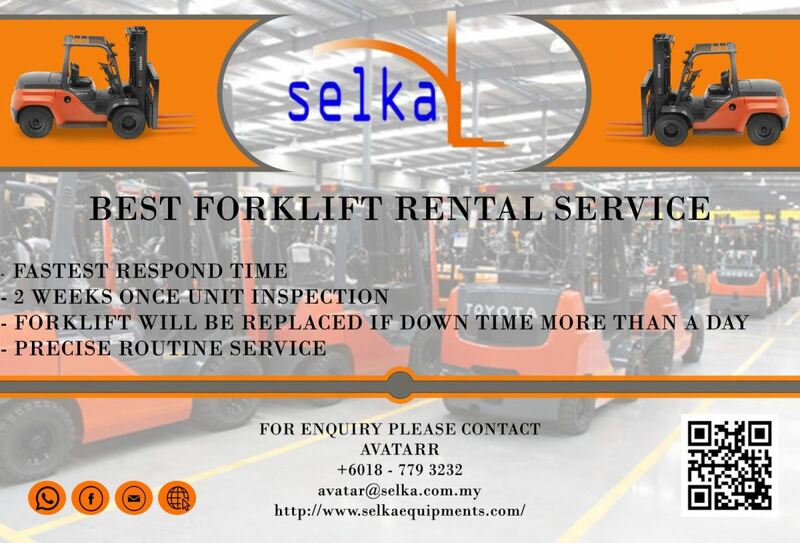 Selka offers a full brand line of high quality forklifts, rental services, fleet management, forklift replacement parts and service of forklifts as well as operator training. 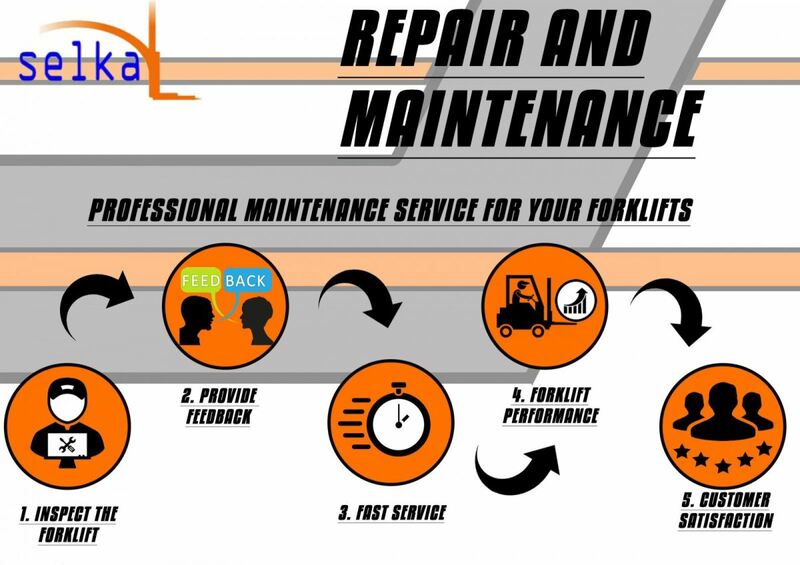 Success in the industry depends largely on a strong support and service system. Yet a strong support network means nothing if a dealer lacks technical expertise to carry it through. Our customers have smaller fleets of trucks and therefore higher expectations regarding response times. Most companies do not have backup trucks, so it is more important today for back up services to be fast. 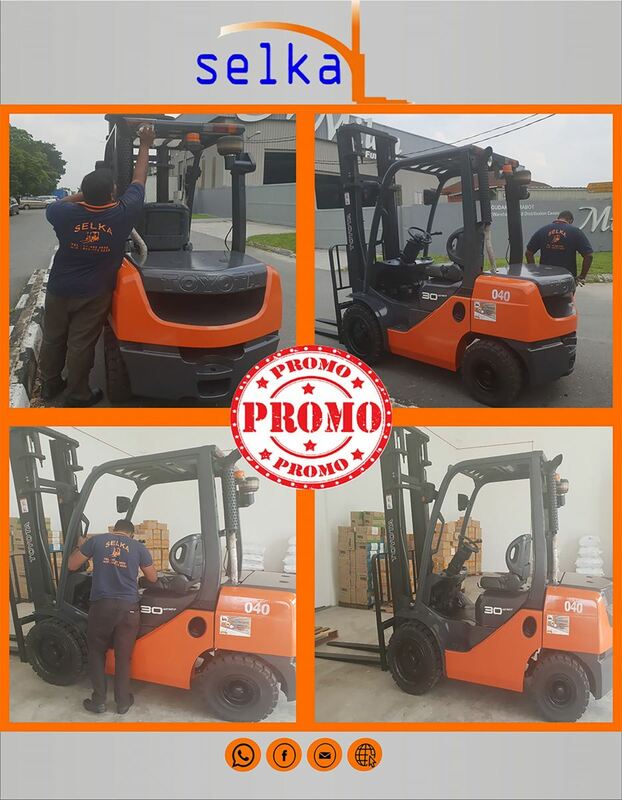 Our core strength comes down to our fast response time and quick service together with excellent after sales support system. 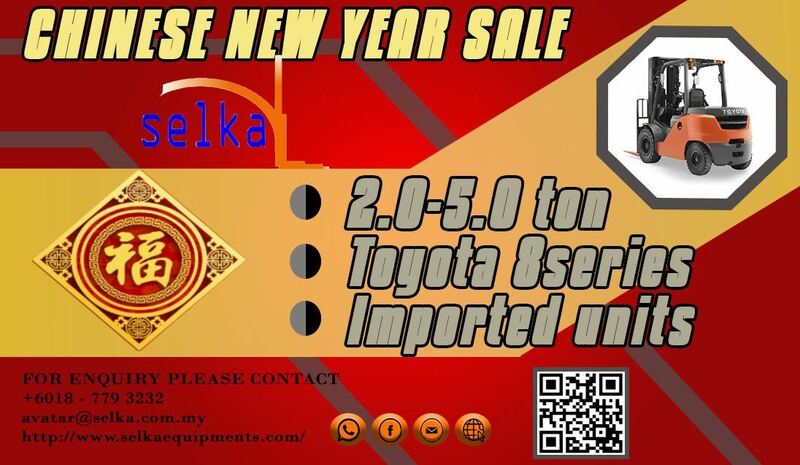 7, Jalan Canggih 3, Taman Perindustrian Cemerlang, 81800 Ulu Tiram, Johor, Malaysia. 201-G, Jalan Haruan 5/6, Pusat Komersial Oakand 8, 70300 Seremban, Negeri Sembilan, Malaysia.